It would seem that nVidia is continuing their trend of shady practices by forcing reviewers to only write the things that suit nVidia. This card really heats up my case! Would like to WC it in the near future. For some benchies, I’m getting 60fps avg in Kingdom Come, ultra settings. 200fps in Fortnite. 800-1000fps in FEAR 1. On what resolution are you getting 60 fps in Kingdom Come? That video card is almost as long as your monitor. Edit: Also I just saw the video in post your specs with all the fancy lights. What is it that allows the lights to reflect what's happening in game? I just found it a bit odd that you said average of 60 fps for that title, even if it is a large resolution... is that with all the new RTX(that real time light tracking...) things? They haven't released any games with RTX or DLSS yet. What do I know… I'm rather illiterate on the matter. To me it seems they're trying to reinvent the wheel without fixing what needs fixing now, to be honest. For example, I'm pulling 200 fps with DOOM but under Vulkan and with 70 centigrade on the gpus. I find it funny that an AMD-developed gizmo ends up working better on their stuff :D.
It's a great idea, just a couple of years to soon. I don't think that people would go back in graphics quality or go for less than 60fps. Not using RTX features, just a boost in rasterization rendering I can sustain 60fps+ in most areas. I still get occasional dips to 40fps in unoptimized areas like populated holds though, but it’s better than dips into the 20s like on the old 1080ti. The RTX 2080 Ti is really the only RTX card that it makes any sense at all to purchase right now. The reason for this is twofold. It's the only card available that can power the new RTX technology at anything even remotely approaching acceptable performance. In the few demos shown, a rig powered by a 2080 Ti struggles to even come close to maintaining 60 FPS, and that's at 1080p. You can forget about 1440p or 4K or beyond. Even assuming that once games actually come out using the new technology (there are still none on the market right now) developers have been able to optimize and get better performance, the 2080 Ti will still almost certainly be the only single card available capable of utilizing the technology and getting 60 FPS at 1080p. For anything above 1080p you will need multiple 2080 Tis in SLI. Outside of Bokishi, how many gamers can both afford to spend that much on a rig and are willing to pay it? I'm pretty sure it's well below 1% of PC gamers out there. As for DLSS, we have nothing concrete to go on at this point. Realistically, the deciding factor is still traditional rasterization performance. 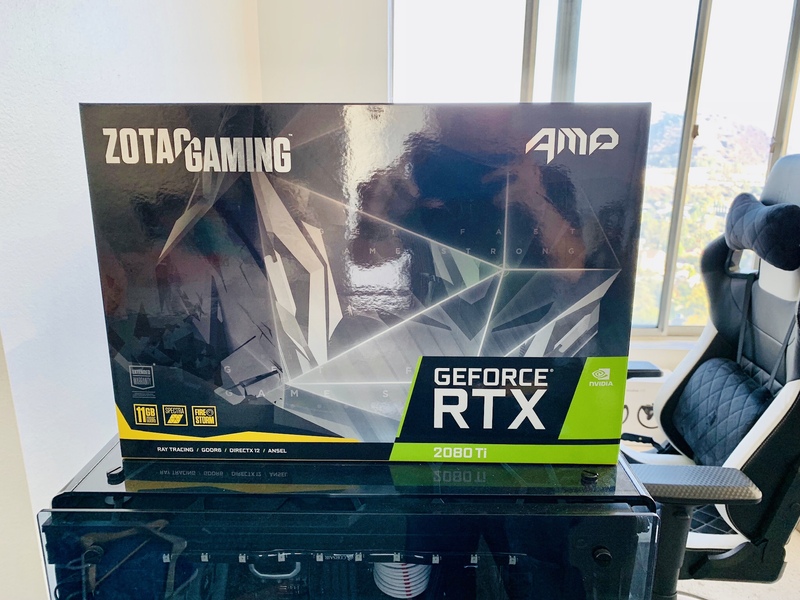 RTX is exciting technology but nothing more than a proof of concept for 99.9% of gamers out there right now and likely for at least one more generation of GPUs to come, probably more. The RTX 2080 Ti is the performance king right now. It comes with an insane price markup, but if you want maximum performance, that's the card to buy. The RTX 2080 gives you basically the performance of the GTX 1080 Ti, maybe 5% better performance, but at a significant markup in price. The 1080 Ti is just a straight up better purchase. Likewise the 2070 gives you basically the performance of a 1080 but at a significant markup. Both of these cards make no sense from a price/performance ratio standpoint and neither one is powerful enough to realistically use the new RTX feature once games come out that implement it. 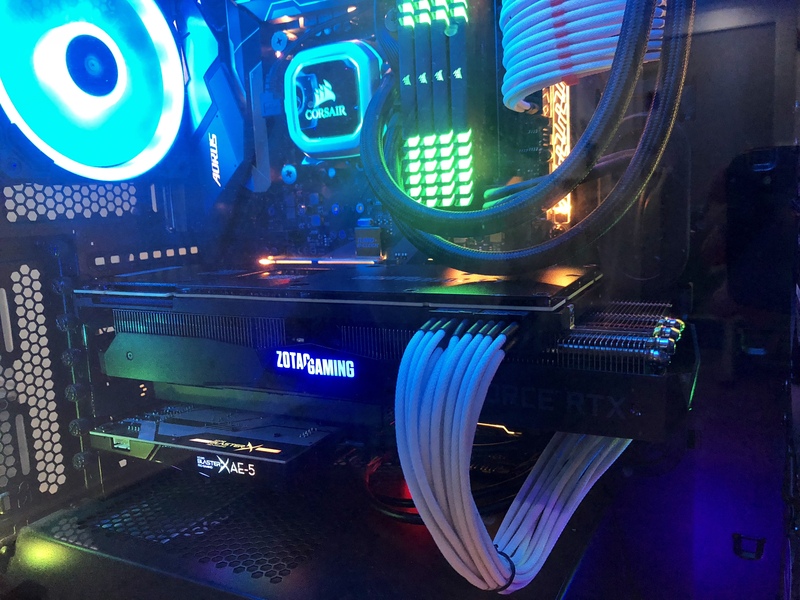 To summarize, only the RTX 2080 Ti is powerful enough to realistically utilize the new technology and it's the only RTX card that gives you traditional rasterization performance that you cannot get with a GTX 1xxx series card at a lower price. It's the only RTX card that makes any sense to purchase and only if money is no object to you. Edited by Keyrock, 17 October 2018 - 07:58 AM.